One of the year’s premier events is Love of the Land, a benefit dinner and awards program honoring stewards of the land at The Pavilion at Richard’s Grove. 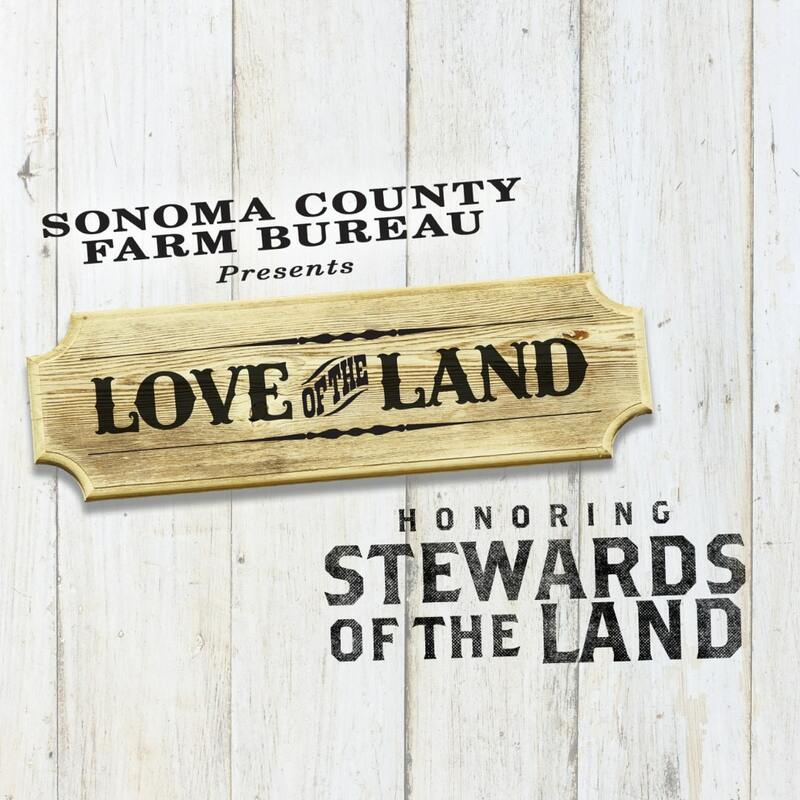 This special evening event is sponsored by Sonoma County Farm Bureau. Our organization has been the County’s leader in protecting agriculture, preserving natural resources and advocating for land rights for over 100 years. Descriptions: The best way to enjoy the evening is through the Premier Table experience with your colleagues, family, and friends. This sponsorship includes: Table of 8 for your guests with preferred seating and table recognition, your company logo displayed at the entrance of the event, recognition in the printed event program, recognition at each table during the event, recognition in the August Sonoma-Marin Farm News, and recognition with branding on our website sonomafb.org before and after the event.